Sat., May 7, 2016 at 10pm-2am. Lit Saturdays: Mike Danger + Chrisy Chriss at Lure. Need more information or help booking your Lure Nightclub Bottle Service Reservation? Let us know! Whether you’re a first-time visitor, or Hollywood nightlife veteran we’d love to hear from you. 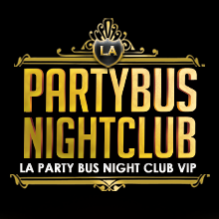 Call or text us at +1 (310) 749-9029 or enter your reservation below. Please be as detailed as possible about your event and we will reach out to you shortly. When your request has been sent, you will be notified by email to confirm availability. If you do not hear from us within 24 hrs, or if you desire a quicker response, please feel free to give us a call (or text). LIT Saturdays offer VIP nightlife inside a swank Hollywood club with a state-of-the-art sound system, LED walls and a hidden garden that has a world of its own. Lure Nightclub features a fire carved image, a chic lounge, glossy dance floor, cocooned VIP area and loft space with exposed wood ceiling. In addition the club has four mosaic bars serving fine drinks and cocktail specials. Expect the best of deejays to rock the house and if you get tired of all that dancing, then head to ‘The Patio’, their alluring garden with water and flower sculptures, cabanas, hanging plants and tree chandeliers. Don’t be surprised to see your favorite celeb enjoying a night here. Lure has over 30 tables at surrounding the dance floor for those guests who are looking for bottle service. The venue features Vegas-style bottle service booths and tables. Lure offers the most spacious seating, better than any other club in LA. Bottle service ranges from 1-2 bottles to gain entrance and it is highly recommended. Lure bottle service will ensure that you have a great time getting the prime real estate in the club.